New band, newer tales : Ek Bangalir Upakhyan | WhatsTheScene? There is always much to be rejoiced about when an interesting new musical venture rears its head, we’re talking about the Pop/RnB fusion band with a healthy sprinkle of the jazz sensibility called Ek Bangalir Upakhyan. 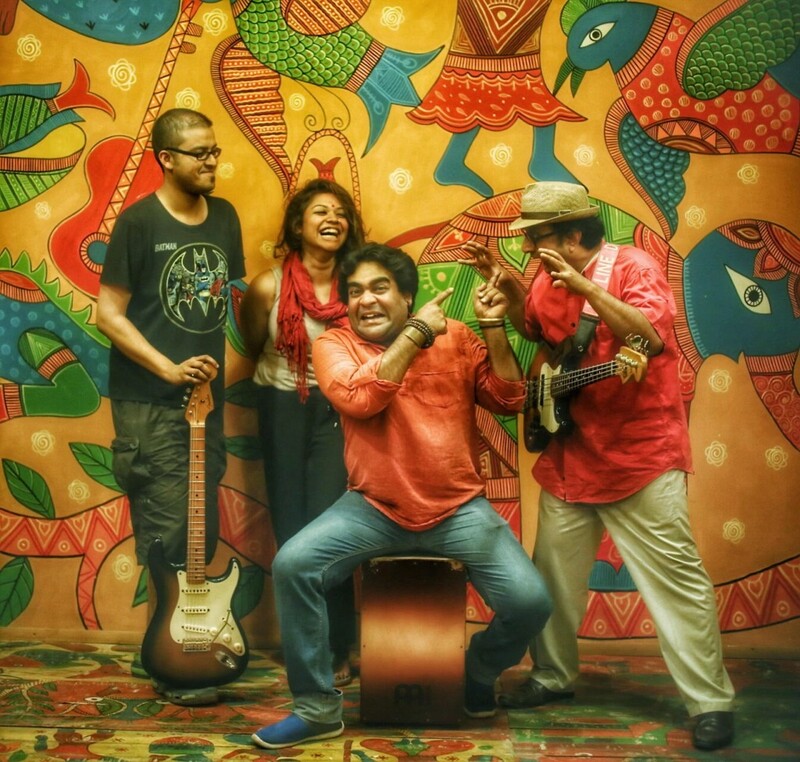 Created as the result of collaboration between musical veterans Mainak ‘Bumpy’ Nag Chowdhury ( Kendraka ), Bodhisattwa Ghosh (The Bodhisattwa Trio) and Ratul Shankar Ghosh, the triumvirate coalesced their talents to give free reign to the songs in their head. Chowdhury describes EBU’s sound as “unlike my previous compositions with MNCFE and Kendraka, driven by the Indian sensibilities of time cycles and modes alongside RnB; pop with a dash of jazz.” Born as “an unnamed project brewing in my head like an star ready to be born out of nebula”, EBU offers Chowdhury’s first pieces of melodic writing since 2013. On the encouragement of his friend, guitarist/producer Seth Blumberg, he ventured to not only pen down sounds brewing in his soul, but actually took to writing lyrics, intending only to pour his heart out. The band came into existence as if by the will of the universe. Three weeks of composition by Chowdhury led to pieces that Bodhisattwa and Ratul Shankar Ghosh adored, which was followed by a concert and recording schedule fixed by Blumberg. They met Armeen Musa while playing, and the band found itself sculpted into shape in the span of three rehearsals. Interestingly, they decided to fly to Dhaka in order to simultaneously tour and record songs. They were put up at the home of the incredible Baul singer Anusheh Anadail who gave them her studio space at “Jatra Biroti” for rehearsals and recording. Armed with songs composed but not sang, they found that the voice of Armeen Musa was the perfect fit. EBU’s sound exudes warmth within its meticulously crafted refrains. As Chowdhury qualifies it as “Music made without prejudice.” and “ Music created without a purpose but for sharing”, the songs are immediately likable without verging on unnecessary circumlocution. You hear flakes of Steely Dan and Shakti thrown in, and Musa’s voice sounds as if it is borne out of the strings themselves. Nag’s faith in the understanding of his friends’ Bodhi and Ratul is evident in the organic nature of each song’s progression. The cumulative effect of each chord results in songs that make you want to lean back and seep into the sound. Noticeably, the cajon makes itself heavily heard in the songs, courtesy of Ratul Ghosh’s expertise. Verging away from the familiar resonance of drums and cymbals, the cajon provides an emptier, more eerie accompaniment. It turns the songs into more evocative pieces, allowing the listener an almost nostalgic component. Amidst the songs, Ekti Premer Gaan sets its roots in RnB, Nesha pins itself down in a five beat blues rhythm and Behishebi goes on a darker tangent. Opening to applauding audiences at Jatra Biroti, EMK Center and Radio Shadhin had EBU off to a promising start, which they would follow up with gigs in India. Already wrapped up in the negotiations of an album deal, EBU shows signs of establishing itself as a musical unit to be revisited by listeners many times over.